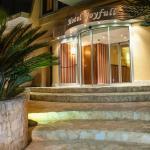 Naples offers hundreds of accommodation of all categories, from extra luxury to family run hotels, from 3 star to B&B. The 2 and 3 star hotels in the centre of Naples, stands along the main arteries leading to the sea, Via Mediana, Via Alcide de Gasperi, Via Sanfelice and further north in the Spaccanapoli area. To find a hotel is never a problem near the Royal Palace, the Archaeological Museum, the Park-Museum of Capodimonte, or along the major streets such as Via Toledo, Via Caracciolo, Via Chiaia, or around the beautiful city squares such as Piazza del Plebiscito, Piazza Trento and Trieste. 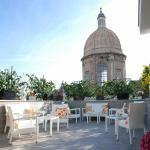 Naples is generous in everything, even in the offer of accommodation. Select travel dates and find all available hotels in Napoli, check out guests reviews and locate properties on Naples city maps, book your favourite accommodation with no pre-payment. All rates are in Euros and inclusive of all taxes.